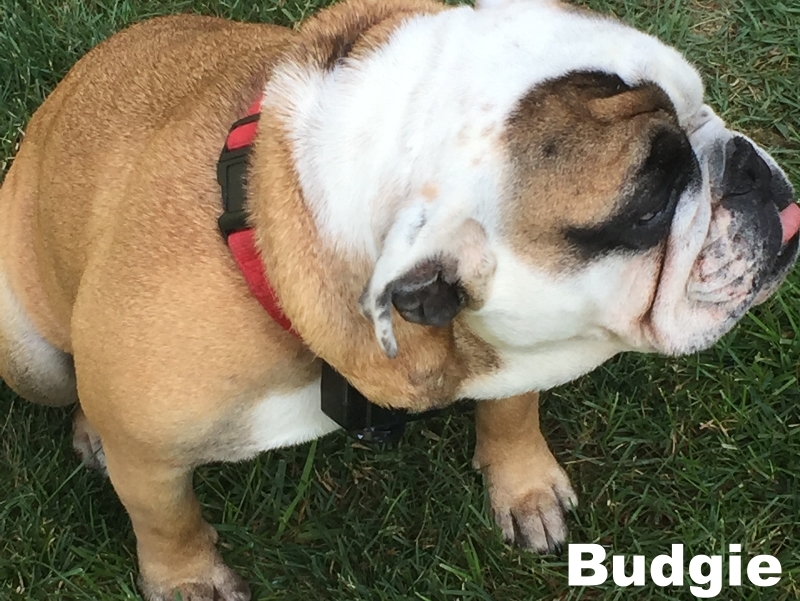 Budgie is a tiny 34 lb Bulldog Diva Princess. She is wonderful with people, but generally does not like other dogs. She lost one of her eyes in an accident as a puppy. 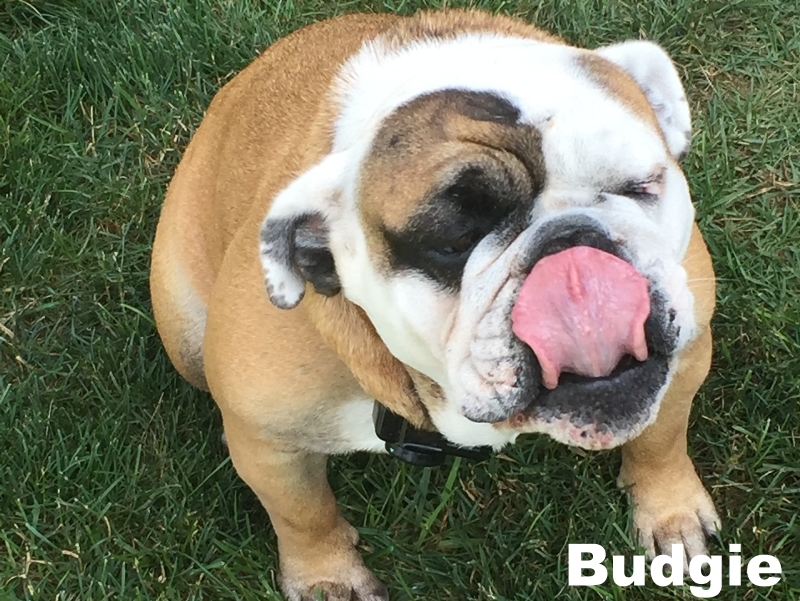 Budgie is very clean and non-destructive in the house, loves to go on walks and loves to ride in the car. 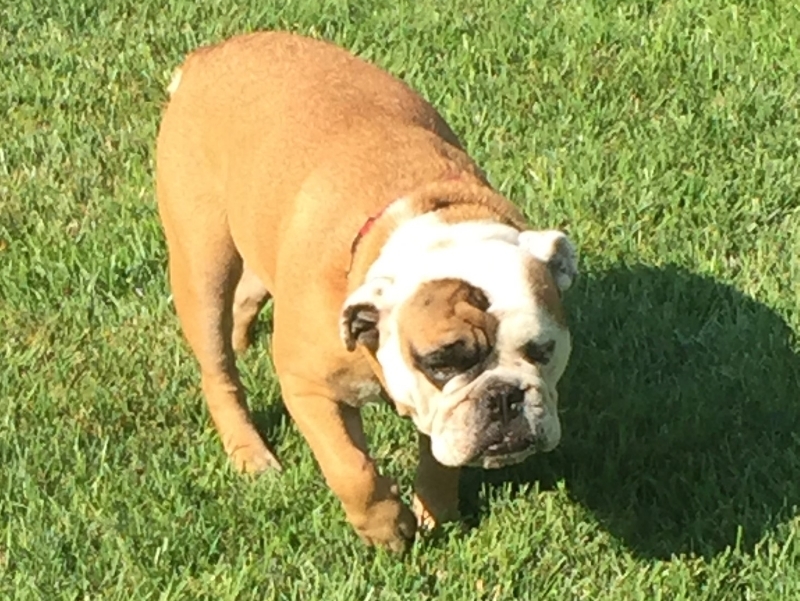 She is a delightful little Bulldog and a wonderful companion.